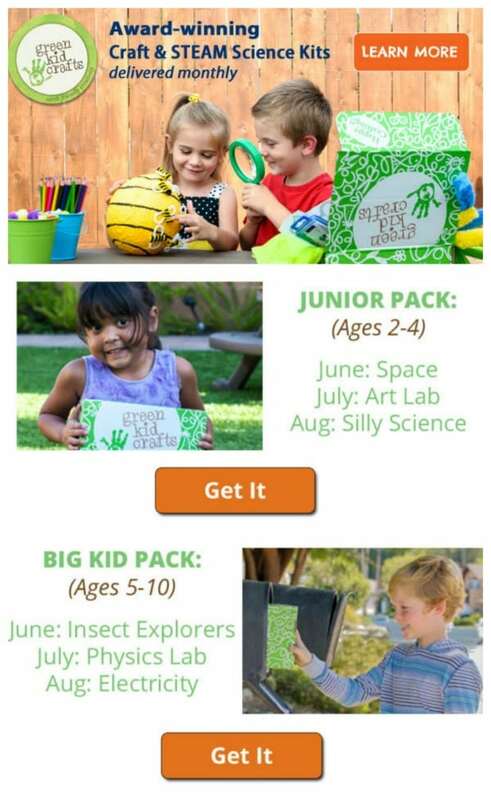 This summer, keep kids’ minds stimulated – and combat summer brain drain – with Green Kid Crafts’ new Summer Science Packs! These fun, educational activity kits point the way to a summer full of creative learning and outdoor summer fun. Each month, kids will receive a new Discovery Box full of engaging summer-friendly science and creative activities, each introducing a different educational theme. 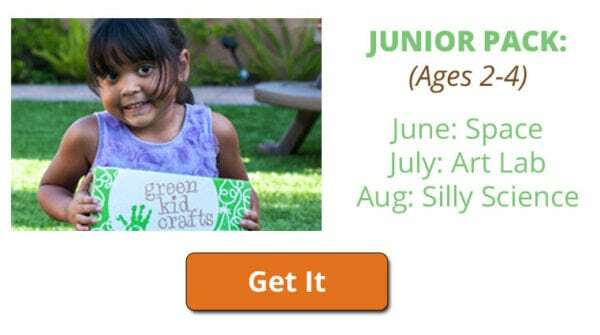 Junior Pack (ages 2 – 4) summer themes are Outer Space, Art Lab, and Silly Science. 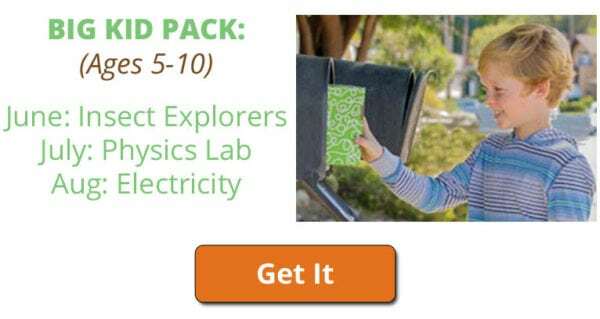 Big Kid Pack (ages 5 – 10) summer themes are Insect Explorers, Physics Lab, and Intro to Electricity. Note: ALL subscribers will receive summer boxes. This is a great time for current subscribers to renew for a year and for new subscribers to sign up! 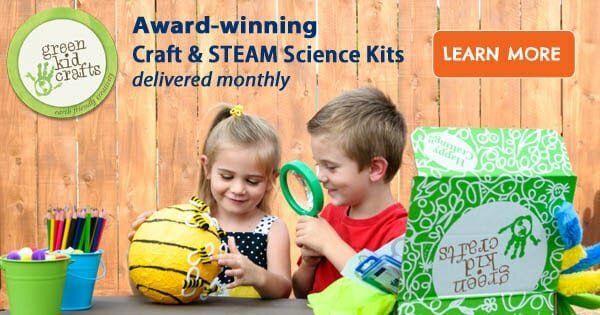 Green Kid Crafts‘ award-winning STEAM subscriptions pack a lot of fun and learning into convenient packages. Each box contains 4-8 science and craft kits, extension activities, and a 12-page kids magazine. Plus, now through June 3rd, save 15% off your subscription with coupon code STEAM15 at checkout. Get started HERE! I love that this encourages learning! This look like some fun kits. I love that they are educational.